After a lot of hype with its initial launch Siri proved underwhelming for many users. But with the iOS 7 setup Siri makes a comeback with a vengeance and some really essential upgrades. In prior versions the Indian dialect wasn’t easily understood by the voice recognition system unless an Americanised accent was adopted. Users were forced to figure out how to add phonetic names to Siri’s database and most gave up trying. Now with the new version not only has Siri become more sensitive to Asian names (a little more, lower expectations) but also receptive to verbal teaching. Just say “That’s not how you pronounce XYZ” and Siri tries like the eager child attempting to please you. It may take a bit of doing but it does learn. Siri can also handle elementary stabs at contextual questions - “What song is playing?” - for example when you are listening to iTunes Radio or your own Music. 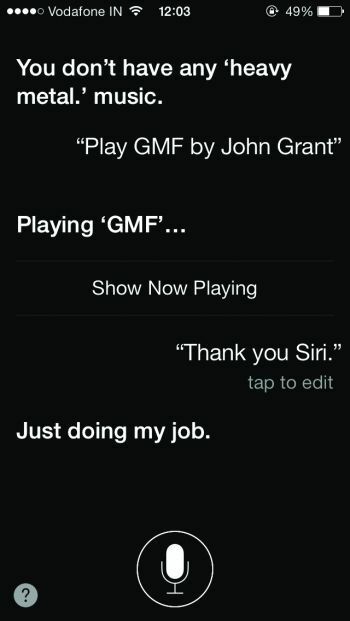 Using it with iTunes Radio makes for an interesting conversation as Siri can be instructed to play music by moods as well as artists or genres. Siri also provides the benefit of Wikipedia search at the push of a button. Simply say “Search Wikipedia…” and it will do its version of a hands-free elocution on the topic. You can also use it to search Twitter for trending topics by framing the question “What is Twitter saying about…” but it still apologises for not making any headway with Facebook. That’s alright. We forgive you Siri. And although Google is can’t be set as the default search engine for Siri you can instruct Siri to search only Google by saying “Search Google for…” and it will present your results in Safari web browser. Siri has difficulty in pronouncing desi names. If she doesn’t pronounce your name properly you can teach her to pronounce it. Just say, “Siri that’s not how you pronounce that” or “you didn’t pronounce my name properly” and she will ask you to teach the correct pronunciation. Siri is capable to change your phone’s settings like turning on/off Bluetooth, Wi-Fi, Airplane mode or adjusting screen brightness (Control Centre does a better job though). Just launch Siri and say “Turn on Wi-Fi” or “Adjust brightness”. Siri is deeply integrated with Twitter. She can tell you what’s trending?, find tweets for you, or even search for hashtags. Ask her “What’s trending on Twitter?”, “Search for hashtag [hashtag]” or “What is [username] saying” and she’ll bring it right in front of you. Old Siri could just tell if you have any new emails, but new Siri can read them for you. Just ask her “Do I have an email?” and she will come up with the list of emails you have received. To read one from the list say “Read the first one” or so. You can also ask “Read my latest email” and she’ll read the latest received mail for you. 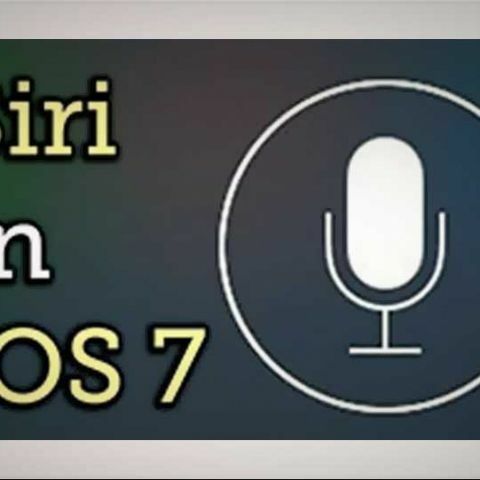 Siri was born with female voice. iOS 7 changed Siri’s female voice and added an additional male voice too. To change Siri’s voice go to Settings > General > Siri > Voice Gender > Male. Bing is the default search engine for Siri, but you can ask Siri to search on Google or Yahoo as well. This isn’t something that can be modified from settings, you’ve to ask her to “Search Google for..”, “Search Yahoo for..” or “Search Wikipedia for..” to search from it.